Dr. Jake Leet graduated from Jackson High School in 2008 and University of Missouri – St. Louis (UMSL) with honors in 2016. 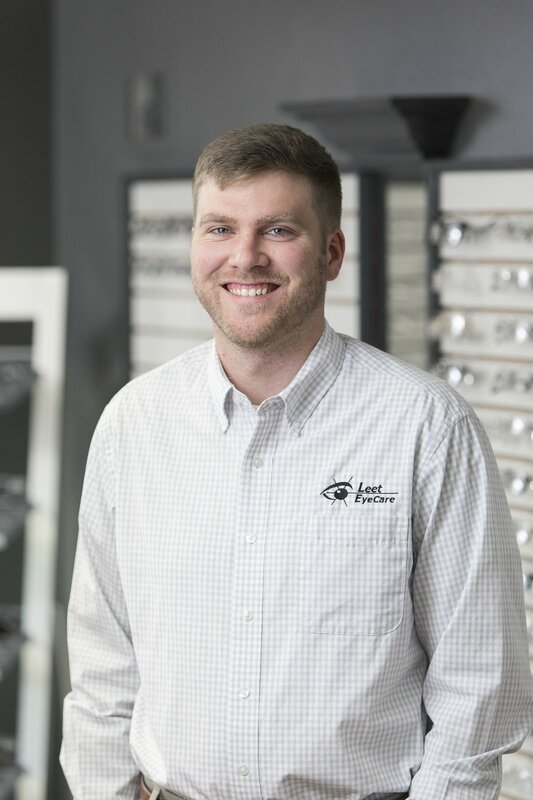 He began practicing at the Jackson, Missouri, Leet EyeCare location that same year. He’s a member of American Optometric Association (AOA), Missouri Optometric Association (MOA), is a Vision Source provider, and specializes in contact lenses and ocular diseases. Dr. Leet says the best part of his job is getting to serve his hometown, ensuring patients get any and all of their visual needs met. He is very active in the Jackson community, serving as a member of the Jackson Chamber of Commerce, Optimist Club, Jaycees, and the Jackson R-2 School District Foundation board. In his freetime, he likes to go golfing and spending time at the lake. He’s also an uncle to four nieces and one nephew, so his kids-birthday-gift list stays pretty full!